Canon continues to offer a very solid line-up of reasonably priced, high performance camera bodies. Whether you’re a stills shooter or someone interested in getting into videography there’s an assortment of DSLR bodies that will get the job done. But it can be confusing. There’s almost too much choice. So we’re simplifying your research and shopping mission. Below are the Stark Insider picks for best models from Canon’s current range of DSLR bodies. If you’ve followed me on Stark Insider over the years, you know I’ve been shooting on Canon for my entire life. For video I do love the new Panasonic GH5. No question, it’s a phenomenal mirrorless camera body. Gear: Canon EOS 70D. Sigma 18-135mm 1.8 ART lens. Canon 18-135mm kit lens. Zoom H6 field recorder. Zoom H1 recorders with Sony lavs. Canon gets a lot right. Build quality is exceptional. Ease of use is tops. And, most importantly perhaps, the image has that beautiful Canon color. You really can’t beat that combination. I’ve used all of these camera bodies at least once — borrowed, owned, or rented — and can highly recommend each one. Whether you have about $600 to spend, or even up to $3,000 or so there should be something here to suit every budget and project requirement. Thumbs Up: Low price, relatively compact for a DSLR body, 24MP APS-C sensor produces beautiful images. Yes, you typically get what you pay for. In this case, though, I think Canon over-delivers. At only $499 this Rebel SL2 still uses a high performance 24MP APS-C sensor. That means simply: great quality photos. 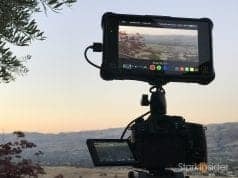 And, you get most of what Canon offers in more expensive bodies, including an articulating LCD, long battery life and built-in wireless like Wi-Fi and Bluetooth. If you want to upgrade from a smartphone, but don’t want to go bananas on spending, the SL2 is a very good choice. Thumbs Up: Compatible with Magic Lantern firmware which opens up this DSLR’s capabilities making it a smart low-cost choice for those new to videography or aspiring filmmakers. Here’s an interesting choice. The Canon EOS Rebel T5i has been on the market for a while. In fact, there’s newer choices from Canon including the T6i and T7i. For one, it’s so reasonably priced that it’s hard to not at least take a look. 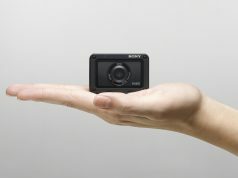 For $549 you get the body and you get an impressive 18-5mm IS STM kit lens (which has exceptional autofocus performance). You do give up some megapixels. The sensor here is “only” 18MP so photographers might want to keep that in mind. For video shooters, however, that’s not too relevant. 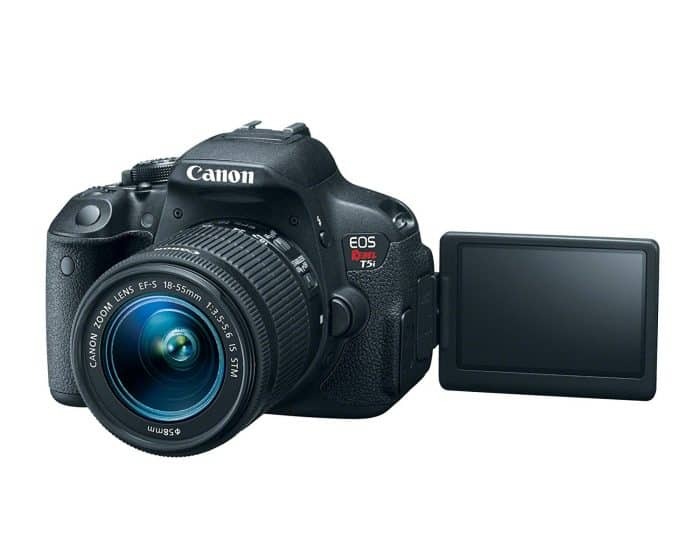 The T5i will still give you nice 1080p HD video. But the big deal here is the T5i is compatible with the Magic Lantern firmware. Install that (it’s easy and non-destructive using an SD card) and you open up a world of capability for filmmaking. Exposure and focus tools. Screen overlays. Control over H264 bitrates. You get all the advanced stuff aspiring videographers and filmmakers would want, without spending thousands more for a true cinema camera. 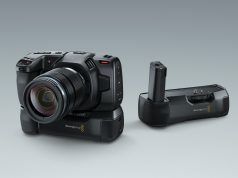 There’s other solid choices in this category including cameras from Blackmagic and Sony and Panasonic. But I find the T5i brings a lot for the price. Thumbs Up: Auto-focus is best-in-class for video. New processor boosts overall performance. Optical viewfinder preferred by many over digital ones found on mirrorless cameras. 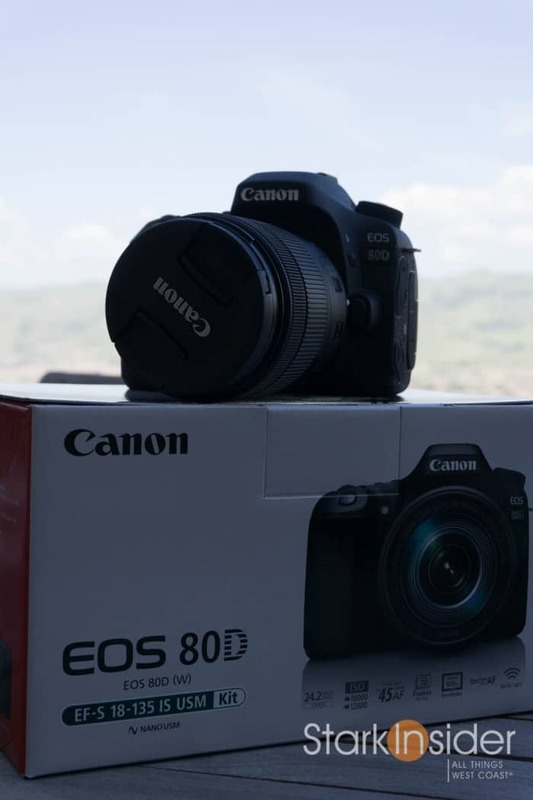 If you’re ready to take the next step, it’s hard to deny the EOS Rebel 80D. Canon’s top-end crop sensor (APS-C) camera body takes decades of know-how and distills it into a high performance package that can just about take on anything from the likes of Olympus, Panasonic and Sony. Especially impressive is the 80D’s best-in-class auto-focus system which canon calls Dual Pixel Auto Focus (DPAF for short). Tap a subject on the LCD and the 80D will track it, keeping it in focus automatically, as it moves across the frame. This is handy for sports, events and just about any scenario where you’re not sure where you’re subject is going to move next. Landscape and wildlife are other good use cases here for DPAF. True, there’s no 4K video. Something to keep in mind if you want to shoot at the highest resolution possible for video (I think it’s over-rated, but there are situations where it can be beneficial). Want to save a little? 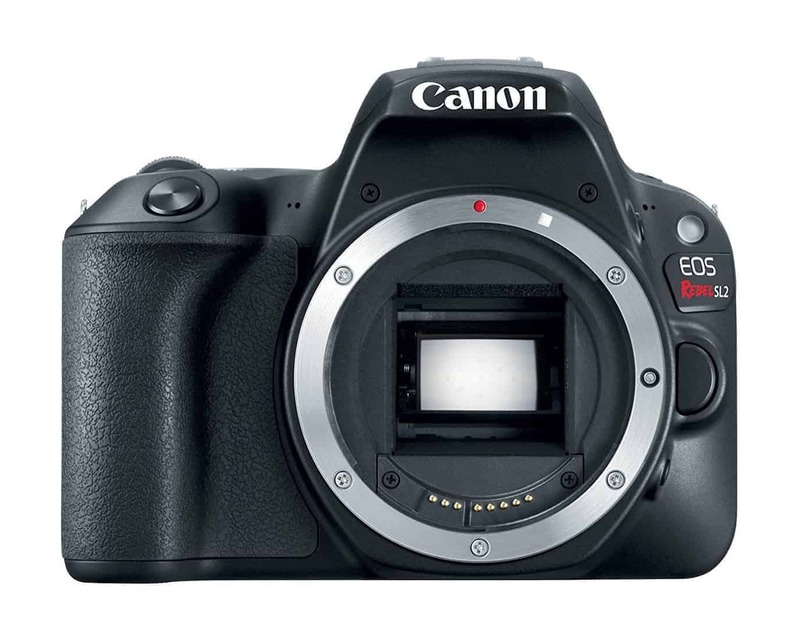 Consider its predecessor, the more than capable EOS 70D. You give up a bit of processing power (less fps in burst mode for photos, for example), but you still get an excellent 24MP sensor and the vaunted DPAF that works extremely well in tandem with the touchscreen LCD. Thumbs Up: Outstanding sensor. Excellent low-light performance. Lots of megapixels means lots of flexibility for photo finishing. Wide FOV for video. 5D. Just those two letters alone evoke fawning praise and eternal lust. This is among the best Canon has to offer. The most recent iteration is the Canon EOS 5D Mark IV. 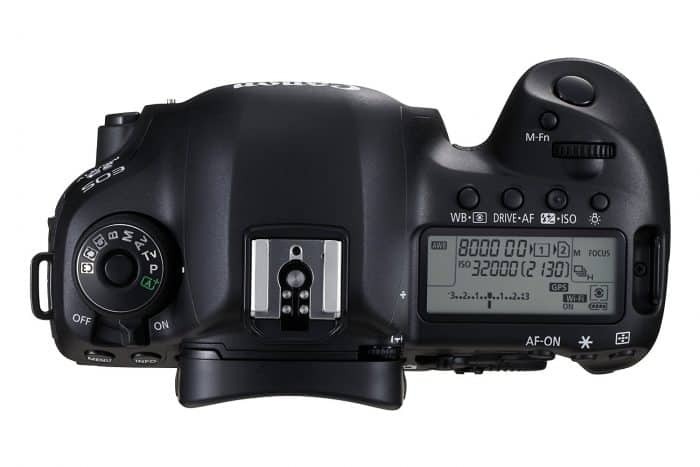 What differentiates this one from the models mentioned above is that the 5D uses a full-frame sensor. That means you’ll get a wider field of view. You’ll also enjoy better performance in low light. And, to boot, be able to take advantage of higher resolution stills thanks to a 30.4MP sensor. If you simply must have the best — or want to give the best to someone special — this is the one to get.